I started my day with a whole banana. Not necessarily on the meal plan, but I didn’t think it could hurt. For a bit of a change, I found a few new recipes on this website and tried those today. I altered some of the recipes based on the ingredients I had and my taste buds. I liked this juice, it was a slight twist from the Mean Green Juice. This juice wasn’t too bad, but I definitely could taste the cabbage and that ‘dirt’ taste, but it wasn’t overwhelming so I was able to finish it. I don’t know if it made a difference that I didn’t start drinking this juice until after 3pm, but it was not as tasty as it had been when I sipped it in the morning as I bottled it. It tasted like baby food. The sweet potato taste was so thick. I drank maybe a 3rd of this, before gagging and throwing it out. We had a going away lunch for a few co-workers today at Mission BBQ and I had to attend since one of the guys, works for me. But I was strong, and just drank my Funky Monkey and suffered in silence while pulled pork and bbq trays floated around me. Since I didn’t finish the last juice I was a little hungry by the time I got home from work. I ate two bananas. Shortly after eating the second banana, I could literally feel the banana digesting. And about an hour later decided to make the Green Detox Soup. I followed the recipe below minus the broccoli. 1. Chop the garlic and all the veggies. 2. Warm the oil on low heat, then add the leek and garlic and cook slowly for 3–5 minutes. a few minutes, until the zucchini is soft. The less you cook the vegetables, the better. consistency, from smooth to chunky. 5. Serve the soup in bowls and sprinkle with parsley. Note: You can make your own veggie stock using leftover pulp from your juicer. Visit the soup recipe section of our website (rebootwithjoe.com) to find instructions. Several weeks ago I was in a horrific accident. I had to be airlifted to the hospital and was in the Intensive Care Unit for over a week. I remained in the hospital for several more weeks. I sustained major injuries, and I am still in the recovery process and still don’t have full use of all my fingers and hands. There is so much to share and I hope to get that chance soon. I certainly haven’t abandoned my blog but it’s just not practical to be able to type to update it at this time. I woke up at about 4AM this morning, probably because I was hot. I weighed myself and went back to sleep. (Told you have a slight obsession with that damn scale). I don’t remember what the scale said because I went back to sleep and weighed myself before I showered and again after I showered and it was difference of about 1 pound less. I will only count the scale’s reading prior to the shower to be consistent. But I was down 1.8 pounds. Still not what I had hoped for or expected. Any diet I’ve done I’ve been able to see the best results in the first week. But this is a bit different. In January 2012 I did a raw food diet for the whole 30 days (Well really 28, something happened those last 2 days of the month). But I think I had lost 11 pounds that first week. BTW, I don’t recommend doing a raw food diet in the dead of winter. Fruit salads are fun and cool in the beginning but after awhile you realize it’s too cold to be eating frozen smoothies and cold foods. Wintertime means hot hearty meals. Today’s regimen called for a mixture of fruits and vegetables. 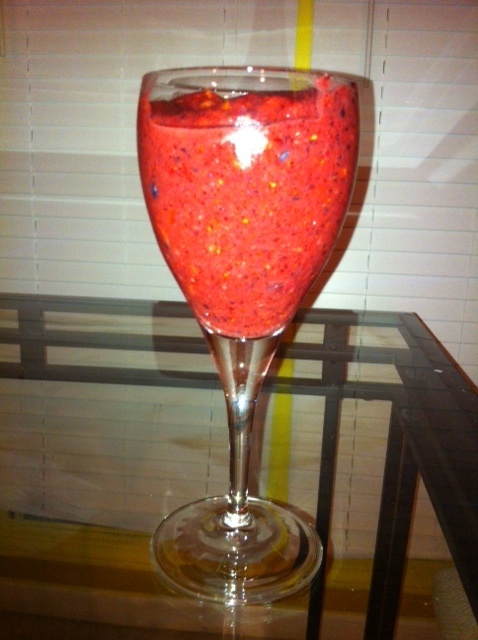 I started the day with a smoothie made with pineapples, mangos, and strawberries. For lunch I had more of the smoothie and some black grapes. By lunch my lips were burning, like I had little cups all throughout my lips, probably due to the citrus in the pineapples. About 4PM I had a bit of a fruit salad I made with Cantaloupe, Honey Dew, and Pineapples. About 2 hours later I had an apple. Dinner time was difficult for me. I was ready to give up, I really want something with some more sustenance. I haven’t been creative enough to whip anything up. So it was a struggle to eat more fruit and veggies. Ultimately, I had 2 tomatoes with a little salt and pepper, a can of string beans and and a can of corn. I also had an orange. I wasn’t as diligent with drinking my water as I still have 5 hours left until bedtime and I’ve only consumed about 30 ounces. In this picture, taken about 8 months after it had been highlighted, you can see my hair straightened and some of my highlights. Here’s a better view of my hair from September 2012 (about 5 months after I got it highlighted), This is the work of my main hair stylist. The before picture on the left is my hair freshly washed, the middle picture is blown dry and the last is a shot of the left side of my hair flat ironed. I must note that I didn’t experience any damage or breakage due to the color and my hair was lightened without the use of bleach. Why go to a beginner or someone learning how to perform such a permanent process? Some might say “Why go to a beginner or someone learning how to perform such a permanent process? But my reasoning was that there is a skilled instructor overseeing the whole process. Someone who’s job it is to teach the proper technique to eager students. The trainer for my student stylist oversaw the process and and I felt that my stylist was pretty confident. So as previously stated I was happy with the outcome and the price and didn’t have any complaints. Waking up this morning I was a bit hungry and since I had a physical scheduled I had to wait almost until lunch to eat anything. I emptied my bladder and weighed myself. Not that it really counts for anything but I weighed myself before bed last night, and I was down two pounds after weighing myself this morning. I have a slight obsession with weighing myself daily. Mainly because my weight fluctuates a lot from day to day. I can loose pounds quickly. 3-5 in a day sometimes, but I digress. I snacked on about 24 ounces of watermelon and 3/4 of a cantaloupe for most of my work day. 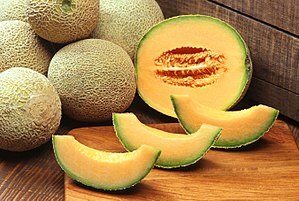 The cantaloupe was delicious. I didn’t really drink as much water as I needed to, but I still have about 6 hours before bed so hopefully I can get another 48 ounces in. At this point my schedule during the week is a bit hectic to try and add consistent exercise, but I hope to get a few daily walks in if nothing more. 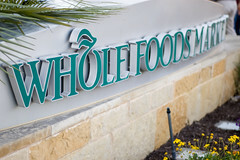 Tomorrow’s post will show the lbs. gone from today’s fruit regimen. 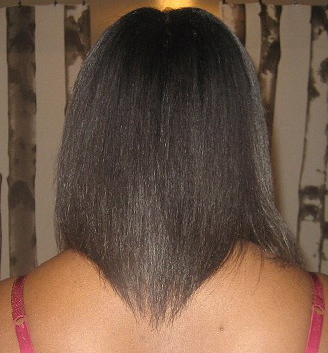 On 21 April 2009 I had my last relaxer. I had just come out of microbraids and was surprised at the amount of length I had retained after just the five or six weeks. 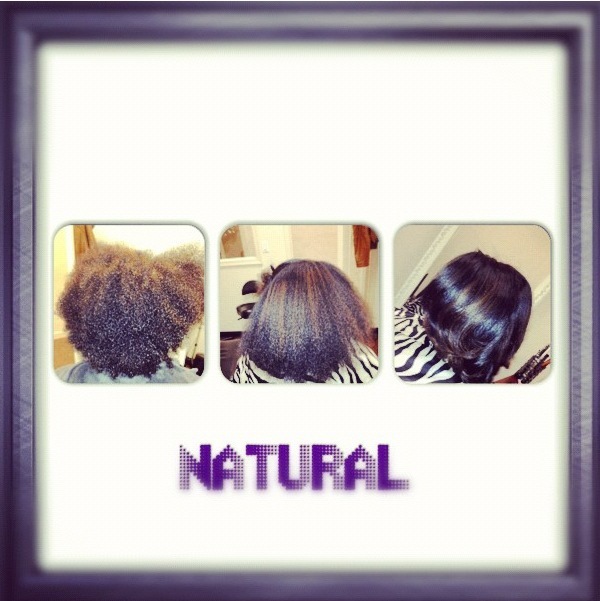 I don’t remember what exactly happened that made me decide that I wanted to go natural. However, this was my second attempt, as I had tried to go natural the previous year for about 10 months. 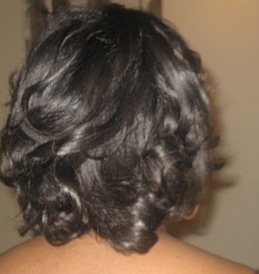 Here is a photo of my hair about a month after my last relaxer in late- May 2009. 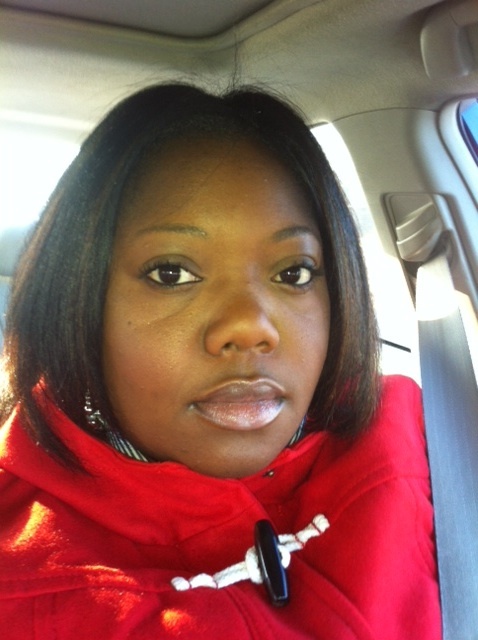 This picture was taken in August 2009 about 4 months after my last relaxer. Anyway, I transitioned from relaxed to natural, and around March of 2011, I cut about one inch of the remaining relaxed ends off my hair. I was officially a natural hair girl. I started experimenting with more natural styles and having some fun rocking puffs, and bantu knot outs. At this point I had become grossly addicted to hair care forums, I was learning a ton and quickly becoming a product junkie. I knew there were lots of videos on YouTube, but for some reason at this time I found the forums and webpages I could read, more helpful than watching someone do their hair.